Matthew Sweet presents music from films about people living outside of conventional society, to coincide with the release of Room, featuring music by Stephen Rennicks. Matthew Sweet with music for films about those cut off from conventional living. Those left to their own devices include Mowgli, Tarzan and Romulus & Remus. The programme features music from "Edward Scissorhands"; "L'Enfant Sauvage"; "The Enigma of Kasper Hauser"; "Greystoke - The Legend of Tarzan"; "Princess Mononoke"; "The Jungle Book (1942)"; "Romolo e Remo"; "Lord of the Flies"; "Tangled"; "Nell" and "The Adventures of Robinson Crusoe". 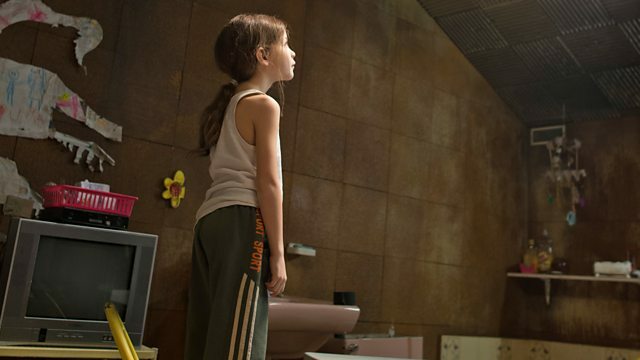 The featured new release is Lenny Abrahamson's "Room" - with music by Stephen Rennicks. Conductor: Shirley Walker. Orchestra: Studio Orchestra. Choir: The Paulist Choristers of California. Orchestra: Studio Orchestra. Conductor: Shirley Walker. Edward Scissorhands (Original Motion Picture Soundtrack). Performer: Michael Copley. Conductor: Thomas Füri. Orchestra: Camerata Bern. Conductor: Bruno Turner. Ensemble: Ensemble Pro Cantione Antique. Conductor: John Scott. Orchestra: Studio Orchestra. Conductor: John Scott. Orchestra: The Festival Studio Orchestra. Conductor: Joe Hisaishi. Orchestra: Studio Orchestra. Conductor: Piero Piccioni. Orchestra: Studio Orchestra. Conductor: Philippe Sarde. Orchestra: London Symphony Orchestra. Conductor: Kenneth Kugler. Orchestra: Studio Orchestra. Conductor: Stephen Rennicks. Orchestra: The Festival Studio Orchestra. Conductor: Gian Piero Reverberi. Orchestra: Studio Orchestra. Orchestra: Northwest Sinfonia and Chorale. Conductor: Ryuichi Sakomoto. The Revenant (Original Motion Picture Soundtrack).